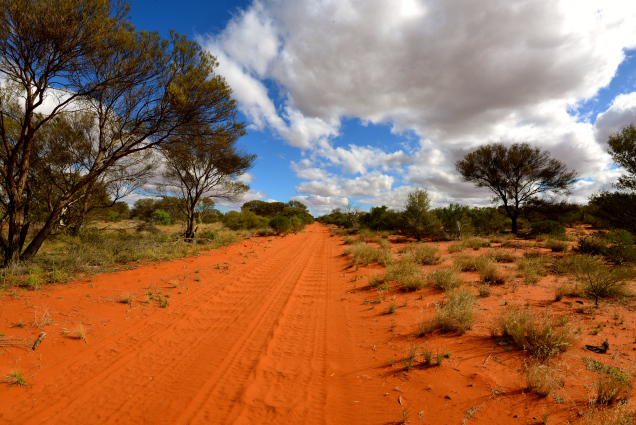 The location of this tale is not important, it was just a long way from anywhere, in what Australians call ‘The Outback’. It involves three vehicles, and a number of people not usually seen in these conditions, which was essentially a dry and arid, trackless desert, with temperatures soaring above 45C (113F). 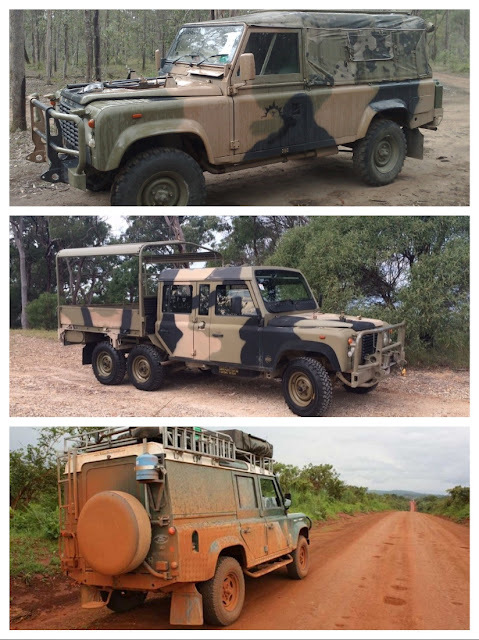 The three vehicles were all Land Rovers - two with distinctive army camouflage paint jobs, and the third, a more civilized Land Rover 110 station wagon, equipped with rations, survival gear and most importantly, air conditioning. The group was sitting in the shade of a large Casuarina tree (also known as the desert oak), and included two professional test drivers, an army guide and skilled survival expert, and a cine cameraman. As the sun neared its noon zenith and the temperature climbed, the group watched as a battered Toyota Landcruiser trayback appeared out of a humungous dust cloud. As the dust settled, the driver, a somewhat ancient Australian aboriginal, and two younger indigenous men climbed out of the cabin laughing and joking. 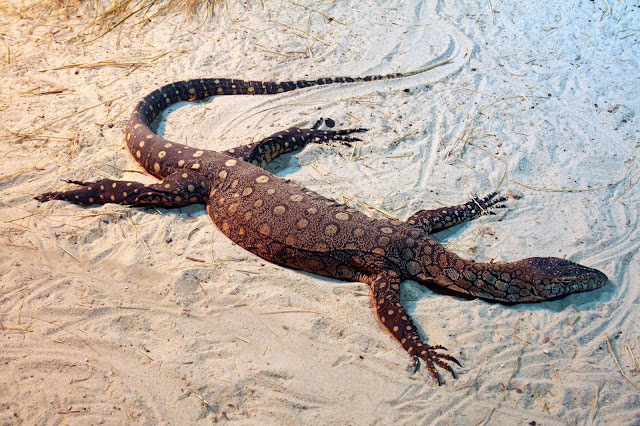 The two younger men jumped into the back of the truck, where a huge Perentie lizard lay, mesmerized and sunbaking in the blinding sun. The boys grabbed the almost three metre (about 9 feet) long reptile, struggling to get him over the sides of the truck, and unceremoniously dropped him next to the men, where he stayed stationary, tranquilised by the desert heat. “He’s all yours,” said the elder, and with that they climbed into the cabin of the Toyota and roared off into the desert, the sounds of their laughter trailing off as they created a new dust cloud. The somewhat dumbfounded white men stared at the slumbering lizard, quickly trying to figure out what to do next. They were in this remote location to film the two Army Land Rovers for a documentary film commissioned by the Australian Defence Department to celebrate the delivery to army of its new infantry vehicles. The cameraman spoke first, “Right, let’s start filming. Let’s get the Land Rovers in position down the track, and then we can get the lizard in shot.” The test drivers cranked up the Landies, and the cameraman grabbed his Betacam, but still the lizard slumbered on. 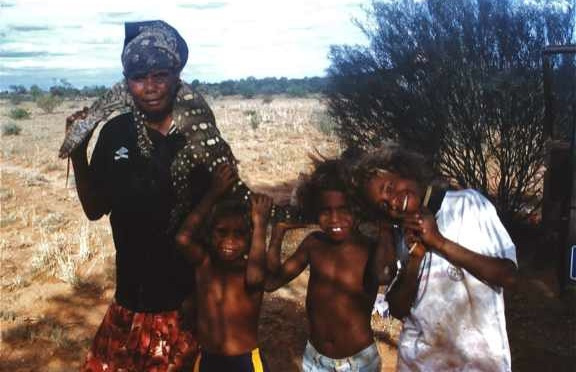 The men had asked the local Pitjantatiara tribe if it was possible to find a Perentie lizard, to include in the shoot, and later to be edited into the film at the appropriate scenes. The Aboriginals thought this was a strange request, because they usually saw Perenties as a source of bush tucker, not the star of a film. As the group positioned the Land Rovers down the track, to drive into view, they had to try and get the huge reptile moving, to bring some active fauna into shot, but still he slept on. Using the two-way CB radio, the army soldier called up the tribe’s base camp, and asked how they might get the lizard to move. The man at the other end of the wireless communication said: “I dunno, maybe you can poke him with a stick. 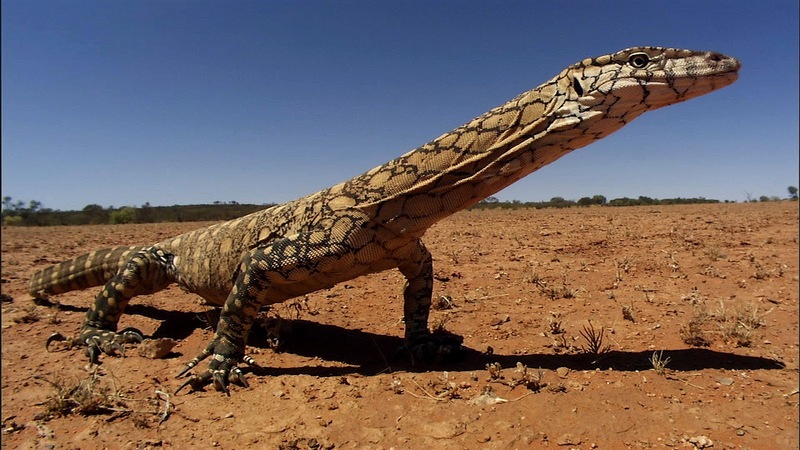 So in the end, after the said device was engaged to get the huge reptile moving, there were just 60 frames shot of the lizard moving slowly across the desert sand, and then off into the spinifex scrub, to escape those pesky white men. The film was eventually used to great effect however, to highlight an important contract for the Australian Army, and began a few years earlier. 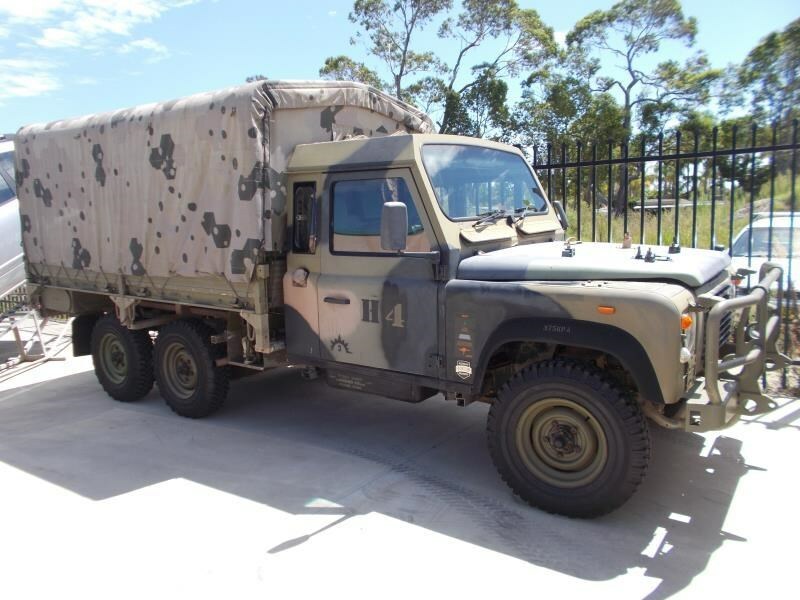 In 1986 the Australian Minister for Defence, Kim Beazley, signed a landmark agreement with JRA Limited for the company to supply the Australian Defence Forces with locally-built Land Rover 110 models, in both 4x4 and 6x6 configurations. The program was named, Project Perentie. The reason it was a landmark decision, is that the Australian Government chose a newly-established Australian company, to source and locally-build vehicles with a high degree of local content, specifically designed for use in Australia’s trackless outback terrain. It was significant that in the 4x4 category the Land Rovers beat both Mercedes-Benz (300GD) and Jeep in the tender process. In the 6x6 category, Land Rover beat out the Mercedes-Benz Unimog. Another benefit of the Land Rovers was that both versions were easily transportable by air in RAAF Hercules aircraft, without their canvas roofs being lowered. Land Rover in the UK had authorized JRA limited to submit a tender for supply, however, the non-Land Rover content surprisingly included engines, and in the case of the 6x6 models, the entire rear wheel drive assembly was designed, developed in Australia, by JRA's skilled engineering chief, Ray Habgood. 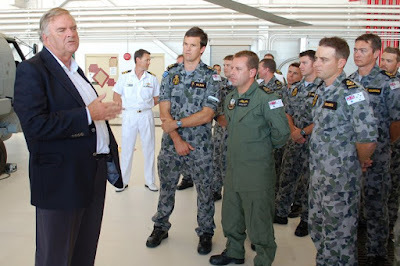 Equally important to the process of winning the tender was the energy and committment by JRA's Deputy Managing Director, Jack Heaven, who was determined that it would be Land Rovers that would continue in service with the Australian Army, so he issued Habgood with the following edict: "We are not authorised to fail!" The Australian-developed 6x6 also utilized a unique twin leaf spring rear suspension, designed in such a way that when one wheel was fully extended, the other wheel rose, maximizing the vehicle footprint on undulating terrain. The winning specification used a 3.9L Isuzu diesel engine, mated to the Land Rover transmission, with locally-sourced suspension components. The Isuzu engine for the 6x6 version was turbocharged. Ray Habgood had also sourced higher-strength half shafts, and modified the transfer case internals, instantly correcting a common complaint about Land Rover reliability. The upper body structures included fabric roofs, and metal bodies, designed as ambulances, fully-mobile RAEME workshops and communications vehicles. 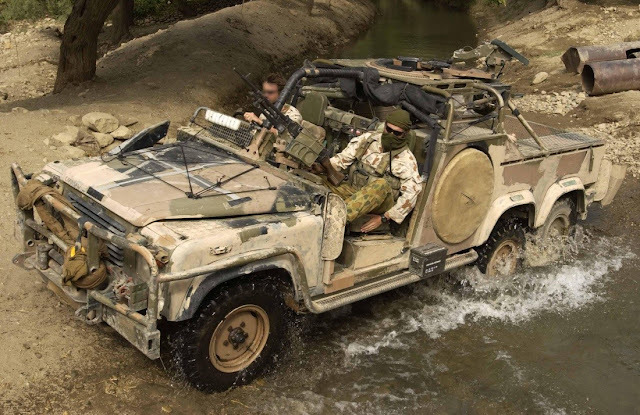 A series was also built for the Australian SAS as reconnaissance and rapid deployment vehicles. The SAS particularly appreciated the fact that with canvas roof lowered, the Land Rover was a low profile vehicle. The contract, originally for 2500 4x4 and 400 6x6; was later increased to a total of 3700 vehicles. 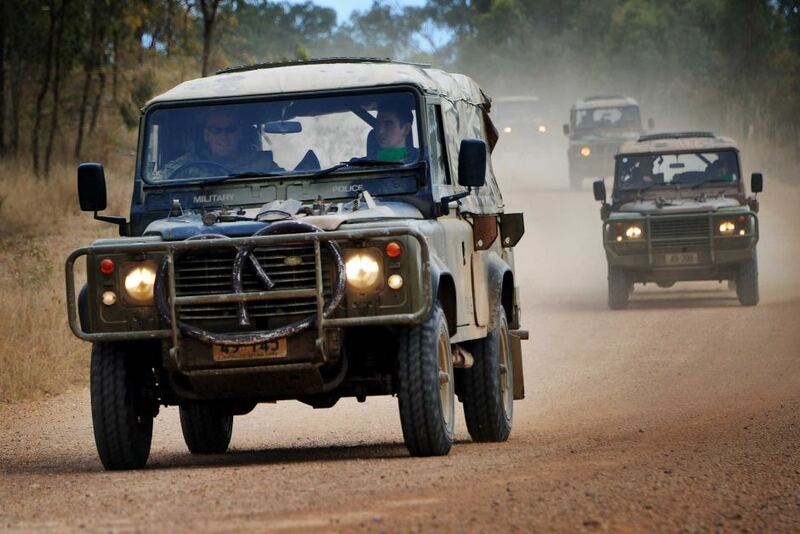 As supply commenced, the Australian Army envisaged a ten year life for the vehicles, however they proved so popular with troops in service, every effort was made to keep the Perentie Land Rovers operational. Even to the point of completely rebuilding well-worn examples. Service life of many Perentie Land Rovers has exceeded 25 years.